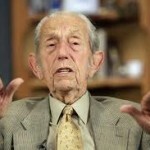 I couldn’t help but notice the story of Harold Camping, the California preacher who recently predicted the end of the world was coming soon. He said he calculated his prediction using biblical scripture and prophecy, and was so sure of his proclamation that not only did he give a general time for this to occur, he predicted the actual day – May 21, 2011. 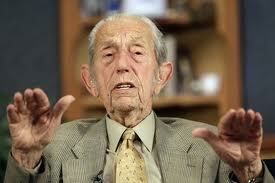 Harold Camping may need a math refresher, but at least he got me to thinking. Obviously Camping was a bit off the mark on his prediction, as I’ve since learned was the case back in 1994. But, his end of world claims did get me to thinking. What if we really did know the end of the world was near? What if we were actually certain to the exact day when our lives would come to an end on this earth? Would it change the way I lived those last days. The honest answer is absolutely. If I knew I had 10 days to live you think I’d waste my time sitting on the couch watching Dancing With The Stars? If there was less than a week left before the end of time, you think I’d spend three hours watching the Mavericks beat the Thunder in another scripted NBA game marred by too many foul calls and questionable referees? Heck no. I’d be out enjoying life, talking to people, listening to music, swimming at Barton Springs or enjoying the beauty of Hamilton’s Pool outside Austin. I’d be helping others trying to make a difference while I still had the chance. I’d be making a list of the things I had to do at least once while I still had the time, like sky diving or blue marlin fishing in the clear waters of Cape Verde. And, most important of all, I’d be seeing those people I needed to see to make things right between us while there was still time. 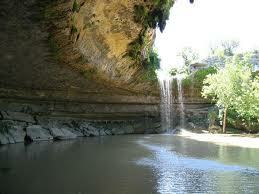 Nothing beats a day with family at Hamilton's Pool! Then I realized my “deep thinking” was really a cliche — I’d do what Tim McGraw sang about so well in his 2004 hit song “Live Like You Were Dying”. I’d do the whole bucket list thing we’ve seen in the movies. The good news is those thoughts reaffirmed what I’ve known for a few years now. I have a very limited time on this earth. Life is too short to waste in front of the television or sitting at some bar telling the same old stories to “friends”. I’ve got to live one day a time, full speed, enjoying every moment. It’s a waste of time to worry about the past. It’s a waste of energy to project the future and what might happen. I’ve got to live NOW! 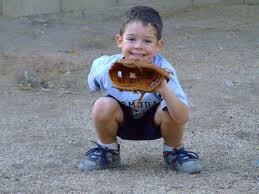 That means when my son asks to play catch, I get off my duff and play catch. When I see someone less fortunate who needs help, I help. When I know of a cause that needs my time or financial support, I give it to them. And I do my best to live openly and honestly with everyone. So what does this have to do with office supplies? Not much really. Only that if you need office supplies, why not buy them from a company that makes a difference? Why not buy from someone who is in business to give back to the community and help others. I agree it’s important to find a company with great service and low prices. But all things being equal, if you can find a company like Zuma Office Supply with guaranteed low prices and free next day shipping AND they donate 50% of profits to charity, why spend your hard earned money anywhere else? So Harold Camping accomplished at least one thing with his bold prediction. He got me to write a list to help me live in the present and enjoy life every day! 1. Less TV – what a waste. 2. More family – enjoy my wife and children, and spend more time together. 3. 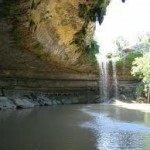 More nature – enjoy the beauty of God’s creation. 4. More arts – music, plays, paintings, and good films that make you think. 5. Grow spiritually – be open and honest with myself, with others and with my Higher Power. 6. Support those causes that do the most good. Next time my son asks to play catch, I'll play catch! I feel good buying office supplies from Zuma. I feel good buying groceries from Whole Foods. And I feel good buying Newman’s Own products. They are great companies first that do good for others second. I think Harold revised his prediction to sometime in October so time is short! Let’s all start living like we were dying, one day at a time. Enjoy today! This entry was posted in Office Supplies Shopping Tips and tagged Do Good Work, Harold Camping, office products, office supplies, Office Supplies Online, Tim McGraw. Bookmark the permalink. Large lover of your site, a considerable number of your posts have truly helped me out. Looking forward to news! Thanks for the love Charlie. Office supplies can get pretty boring, but hopefully we spread a little good cheer and encouragement every now and then. Zuma helps you fell good when you buy office products cuz we’re all helping others which is pretty cool. Oh my goodness! What a tremendous post. Thanks However I’m experiencing a challenge with your rss . I do not know why I am not able to sign up for it. Is there anybody having identical rss troubles? Anybody who knows about the problem please kindly respond. Many thanks. Thanks for the kind words Carmela. We have not had anyone else inform us of trouble with the RSS for the blog. I’ll do some digging with IT and see if there is an issue, and will let you know. Thanks and enjoy today! Carmella – all appears to be working fine. All you need to do is click the “Entries RSS” link on the right hand side of the blog, and all will work fine. Thanks for following the office supplies blog from Zuma!